Because the acoustic guitar is crafted with thin wood and precise shapes, temperature and humidity can actually affect your instrument. If not controlled, they can put unhelpful stress on your guitar, which can make it’s sound quality go down. If it gets too hot, the glue joints on the guitar may loosen or eventually separate. 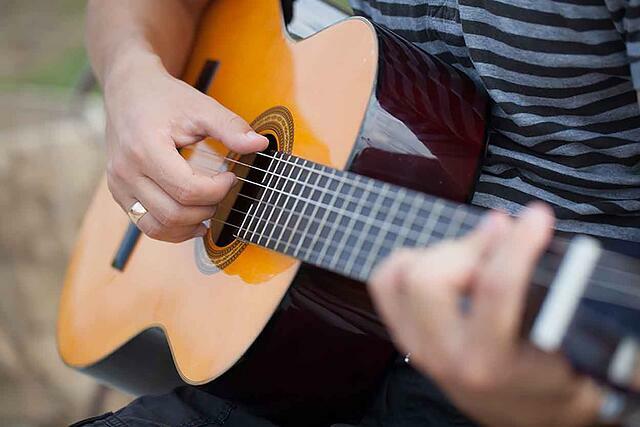 A good temperature for your guitar to stay at is 72-77 degrees fahrenheit. As for humidity, you have to be careful. A guitar should never be wet. High moisture in the air can cause damage such as swollen wood, finish cracks, separated bindings, fret buzzing and a muffled tone. On the other hand, if there is little to no moisture in the air, the wood may shrink, causing the frets to buzz and stick out from the fingerboard. It can also cause cracks in the wood’s finish. A healthy humidity level for your guitar is about 45-55%. Changes between temperature and humidity do the most damage when they are drastic and fast. If a change happens gradually, the guitar should be okay. 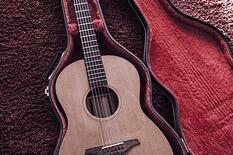 To avoid potential damages to your guitar, try to keep it in a case (latched) while you are not using it. 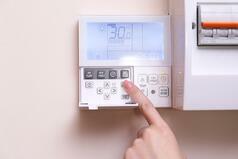 In the summer use air conditioning, and in the winter use a humidifier to keep your home environment helpful. Humans have natural oils on their hands all the time. When we play an instrument, some of those oils stay on it. Over time, this can wear on the wood or finish of the guitar. Other chemicals should not be touching your guitar, as it can affect the finish and damage the wood. The best way to keep your guitar healthy is to clean it every so often. Grab a soft, damp (not wet) cloth and wipe down all surfaces of your guitar. Then go back with a dry cloth to buff it. If you are wanting to polish your guitar, keep the finish in tact by making sure you use a polish that doesn’t contain silicone compounds. Don’t polish the fingerboard and bridge of your guitar since they don’t have finish on them. Obviously you want to be gentle with your guitar. The more careless you are with it, the more damaged it can get. When you are carrying it, remember to use a case. Avoid wearing large belt buckles while playing, as it may scratch up the back of the guitar. If you are replacing the strings of your guitar, be very cautious. Ask a professional for help if you aren’t sure what to do. In the end, remember to treat your instrument well! Most of the time, they aren’t cheap and it’s important to be good stewards of what you have!